About Melody Motors - Melfort, SK area New & Used Ford Dealership serving Northeast Saskatchewan . Melody Motors offers many automotive products and services to our Northeast Saskatchewan area customers. We are your one stop shop for all of your automotive needs. We know anyone looking for a vehicle will find what they need at our dealership. We carry a comprehensive line of new Ford vehicles with every color under the rainbow as well as an excellent selection of quality pre-owned vehicles with many makes and models. Our services include trusted Ford certified vehicle repair, original OEM Ford auto parts, as well as a choice of many financing options to help you purchase or lease the vehicle of your dreams. Call Melody Motors or come visit us in person. We are conveniently located at 1560 Saskatchewan Drive South. on the service road. We look forward to helping you with your automotive needs. 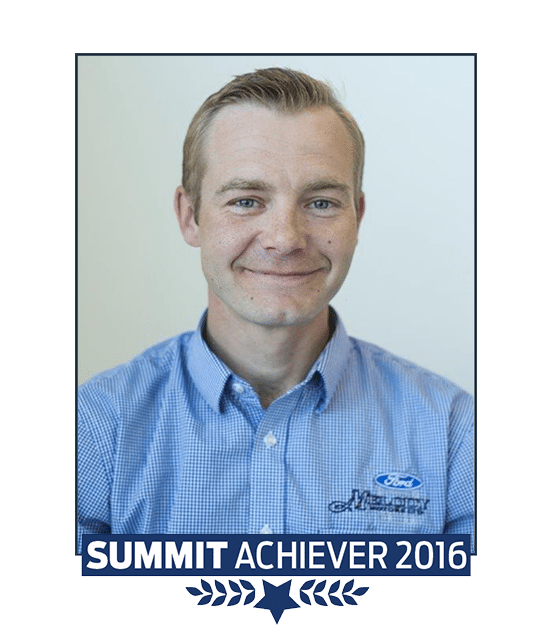 Melody Motors and Ford of Canada are proud to recognize and celebrate the achievements of our 2016 Summit Achiever and Peak Performer Brian Enge. Stop by Melody Motors Inc. for all your Ford service needs. Questions? Any of our knowledgeable service and sales people can help. Call 888-379-0305.